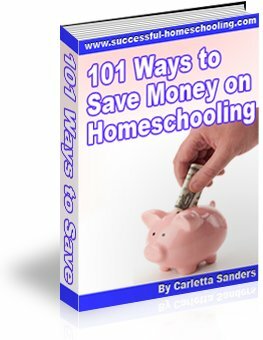 Are you looking for ways to organize your homeschool school room? Here are some ideas for turning your home school schoolroom into a place where you and your kids will thrive! Many of us just have too much stuff! Removing clutter helps you think more clearly and makes it easier to keep things clean. Start by getting rid of things you don’t need, such as unused books, activities, games, manipulatives, supplies and curriculum. Donate, sell or toss products that you have not used this year. It is always sad to find that we have spent money on things we did not find useful, but it does not benefit us in any way to keep those items around. They use much needed space, and, they just may serve as a constant reminder of our mistakes in this area. Next, get rid of items that are broken or in disrepair, such as torn books, toys, crayons, markers, and art supplies. Don’t fret over the money you spent on these items or worry that you may need them later. Trust that you will always be able to obtain everything you need, and get rid of these items to make room for things that bring you joy! Group like items together – books, science supplies, art supplies, math manipulatives, teachers manuals, etc. and give everything an assigned place. If you can’t find a place for everything, go back and declutter again - you still have too much! In fact, make sure there is a little wiggle room in your storage area so you will have room for items you purchase or obtain throughout the year. I like storing items in cabinets that have doors or shelves that are spaced to accommodate bins and baskets, like this unit in our schoolroom. Some families with multiple children have found it helpful to color code items such as bins and notebooks for each child. Others assign each child a drawer, a shelf on a bookshelf, or a storage create. Here’s Danielle’s tutorial for creating chair back totes. Here’s a tutorial for Kayren’s dressed down version of chair organizers. Your storage system does not have to be fancy. If you are on a budget, use inexpensive cardboard bankers boxes, recycled diaper boxes or even laundry baskets to store items. Both types have handles that make it easy to carry boxes from a storage area, such as a child’s closet, to a work area, like the kitchen table. Pens, pencils, paperclips and other small items can be stored in a drawer organizer in a desk or kitchen drawer, or in an empty shoe box. No matter what storage system you have in place, remember that it won’t help you if you don’t use it. Get in the habit of putting things away immediately after they’re used, and your homeschool school room will always be clean. I’ve created a bin for each one of my children that contains all of their workbooks, readers, flashcards and other supplies, as well as folders labeled Monday through Friday where I place items that they need to complete each day. During our school time, my children know they need to grab their bins, and begin handwriting. They then begin completing the work in their folder for the day. We store finished items in a file folder labeled <em>completed work</em>, and we transfer the best items from that folder to their individual notebooks periodically. If that system seems overwhelming, just toss completed schoolwork in a shoe box or accordion file folder. At the end of the semester (or year), go through the box and collect your best samples to place in a portfolio to keep long-term. Here is some information about homeschool record-keeping. We made these using 2 sheets of poster board that are stapled together on 3 sides. They can be stored under the bed or slipped behind a bookshelf. At the end of the year, we remove the best artwork samples and tuck them away for long-term storage. Here’s Amanda’s tutorial for creating a clothespin art center. Here’s Jen’s tutorial for a clothespin art gallery that is also simple and appealing. If you really feel daring, try creating a magnetic wall or chalkboard wall in your homeschool school room, using these tutorials from Kimberly of Raising Olives. Kimberly uses her chalkboard to write schedules, assignments, vocabulary words, bible verses, math problems, illustrations, chores, phone numbers, grocery lists and to do lists. Her younger children use the lower half for coloring. You can also use art prints, scriptures and quotes to decorate your home school schoolroom. Or, you can use items that are both educational and visually stimulating, like calendars and alphabet, math, science or handwriting charts. Check out this world map window shade by Kayce. Another great use of wall space is hooks for coats and backpack packs that have been pre-packed for sports and extra-curricular activities. I’m going to break rank with most homeschoolers and say that it’s okay to get rid of books. If a book is torn or damaged, or if you don’t plan on reading it again, get rid of it! Hanging rain gutter bookshelves in your homeschool school room, like these from Mama Notes. They are attractive, and easy to make using this raingutter bookshelves tutorial from Raising Olives. Or, try making this sling bookshelf from a shoe rack, like this one created by Michele and Maria of From the Same Nest. Both types of shelving are great for displaying books in a way that makes them attract the interest of children. Every home school room needs adequate workspace. You can do work that requires writing at a school room table or kitchen table, or even invest in traditional school desks. Keep your work space free of clutter so your children can concentrate on schoolwork. File papers in a filing cabinet or file box, or place them in an empty storage tub or under the bed box. Don’t forget to outfit your homeschool school room with a rug, bean bags, comfy chairs or a sofa where you can snuggle up for family reading time. And don’t be afraid to organize the room into centers such as this Montessori-style schoolroom. For more photos of home school rooms, visit our Homeschool Schoolroom Gallery!